Today’s assemblage of brilliant and boast-worthy balconies is sure to make you swoon with envy! From sky-high entertainment paradises to compact yet functional relaxation stations, you’re guaranteed to find a design that suits your style. 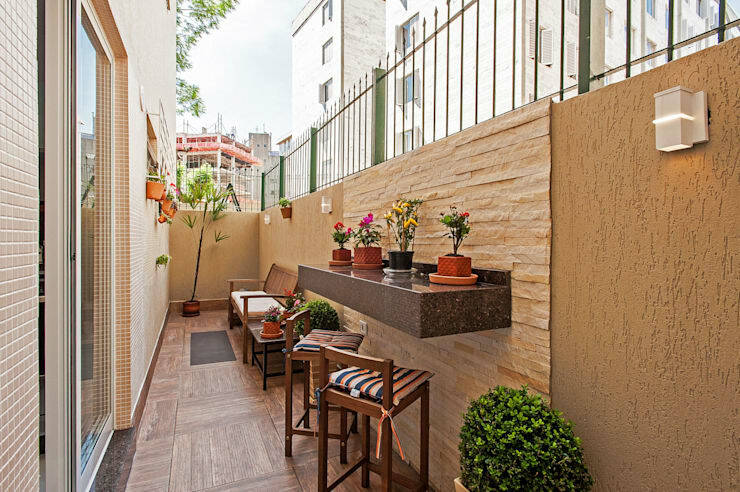 If you are lucky enough to boast a dwelling with a little extra outdoor area in the form of a balcony, rejoice, as you possess a slice of open-air space, a highly desirable commodity in the city of Hong Kong. If however you don’t have the pleasure of enjoying a balcony, verandah, or terrace never fear, we have today gathered a collection of our absolute favourites. For a few domestic ideas and inspiration, take a peek below at the 12 finest balconies we have seen. 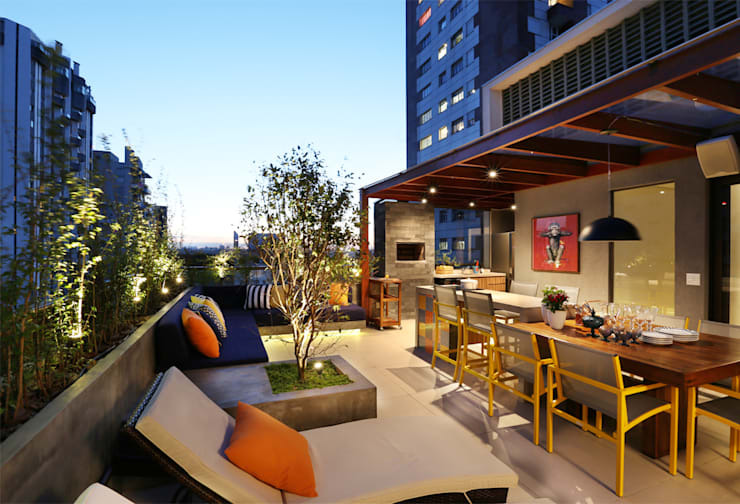 Stylish, cool and ultra practical, this uber-sleek balcony ticks all the boxes! 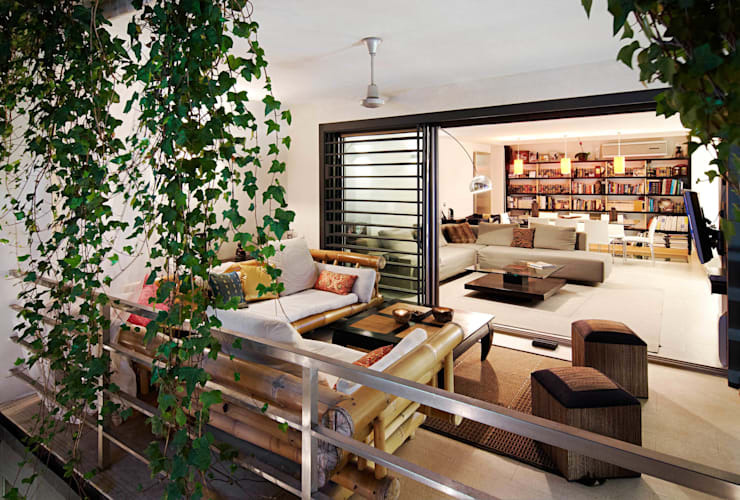 Part living area and part kitchen/dining space, this is one balcony is that sure to impress and delight. If you like rustic then you are going to love this balcony. Get ready to relax with the serenity this balcony offers; tucked away in the hills, this outdoor terrace boasts country style modernity with a hint of class. Who says compact cannot also be beautiful? 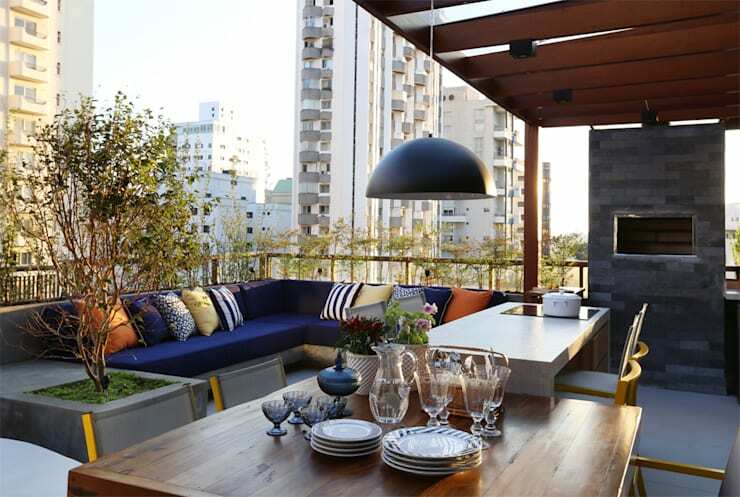 This balcony is multi-faceted with a bar-like dining spot, and comfy seating for relaxing in the sun. 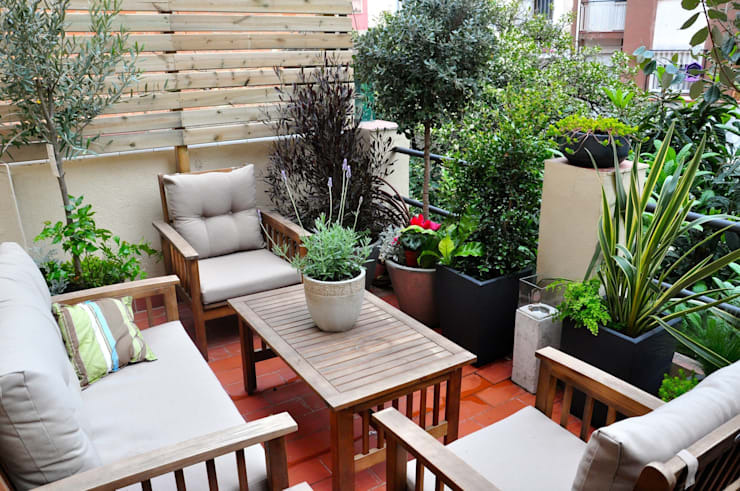 The balcony also includes a good selection of plants that work to soften the exposed stone feature wall. If you want a balcony but also like the comforts of an indoor area then this is the one for you! This terrace is the ultimate in relaxation with ample sofa seating, and a ceiling fan to beat the heat. Sometimes simplicity is the key to success and this example truly owns a sense of serenity. Replete with a sofa, two armchairs, upholstered cushions and plant life this is delightful and comforting. If you would like a similar style in your home, chat to a professional to get some ideas and handy tips. Do we even need to say anything about this impressive example? 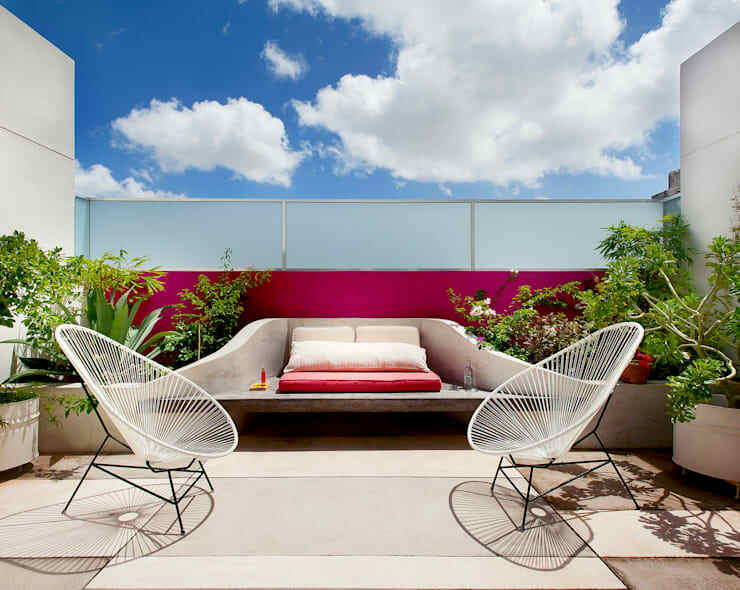 Outdoor bed and sofa, luxury contemporary furniture, abundant space. Enough said! Character and charm can be hard to come by, but this balcony has it in spades. Ideal for high tea or simple entertaining, this is a spectacular setting. 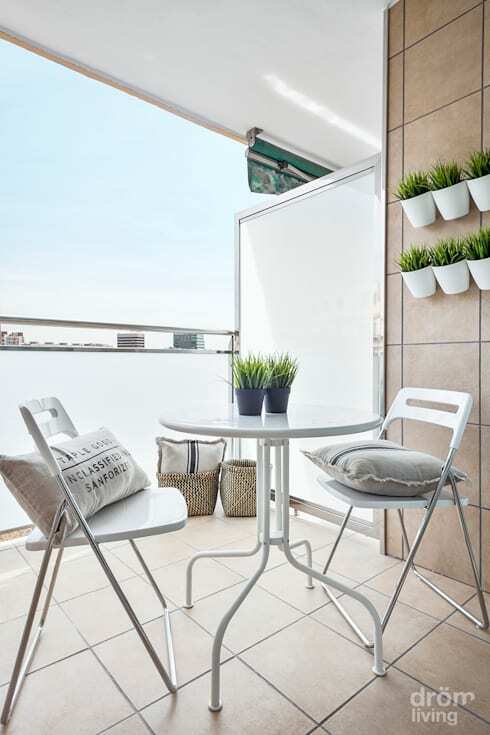 Not all balconies need to exude opulence; this simple space is something we can all take a little inspiration from. Mysterious and utterly indulgent, this balcony oozes luxe style and lavish finishes. 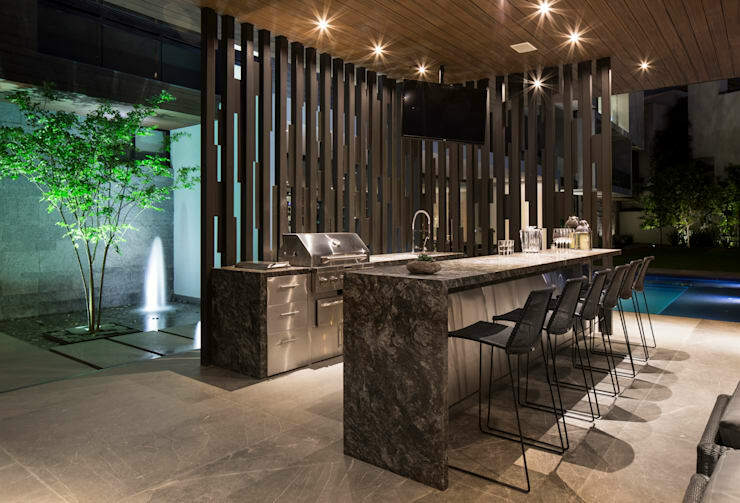 Cook up a storm while enjoying the water feature beyond, delighting your guests with ease. If you like to entertain then this is your balcony. Replete with ample dining space, lounge chairs, and room for a crowd this is a brilliant place for your next event or stylish soirée. There is something to be said for minimalism. 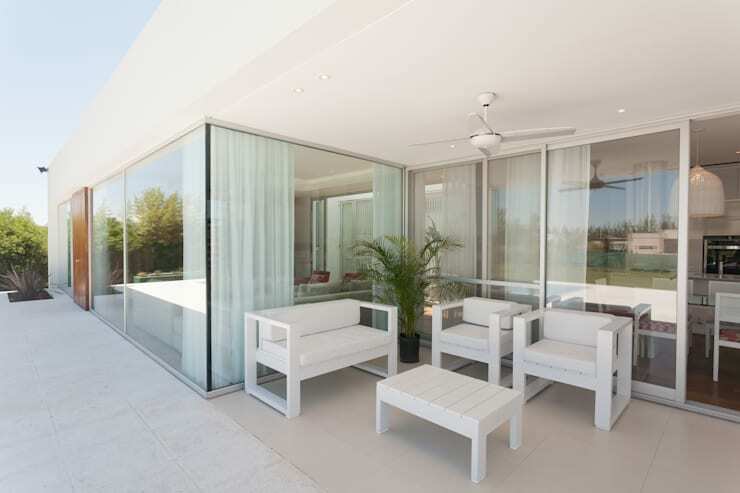 This sleek outdoor space is generously sized, but keeps it simply with cubist white furniture that works seamlessly with the abundant glazing of the dwelling. 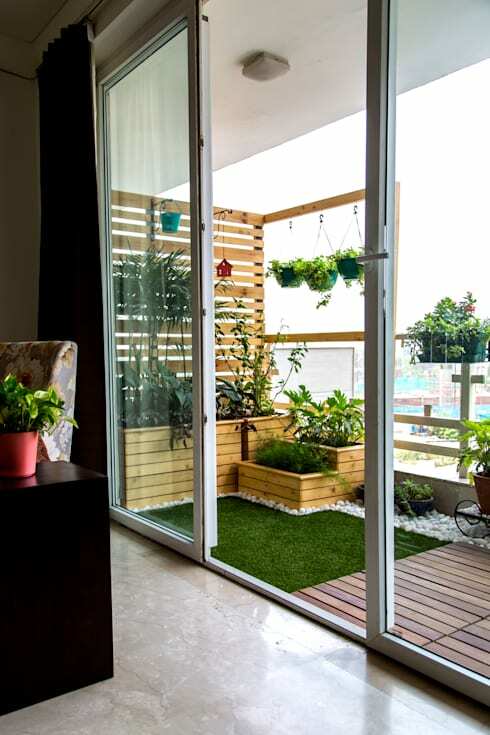 When you have a balcony you often want a patch of your very own greenery or foliage. Here a compact garden has been turned into the ultimate eco-retreat. 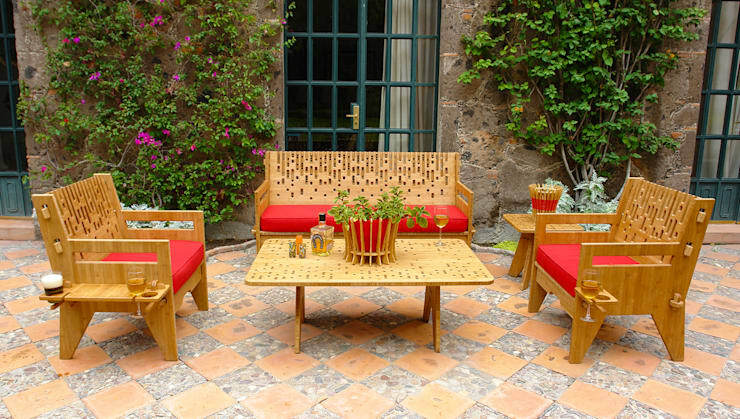 Stylish, neat, and perfect for unwinding outdoors. If you're after some more outdoor decor tips, check out another of our Ideabooks: Wonderful Outdoor Lighting Ideas. Which balcony is your favourite? Let us know by leaving a comment below!